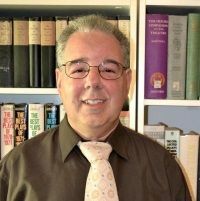 Thomas Hischak is the author of over forty published plays which are performed in the United States, Canada, Great Britain, and Australia. His playwriting awards include the Stanley Drama Award (New York City) for Cold War Comedy, the Julie Harris Playwriting Award (Beverly Hills, California) for The Cardiff Giant, and a winner of the AACT 2016 New Play Fest for The Emperor of North America. Hischak is also the author of twenty-eight non-fiction books about theatre, film, and popular music, including The Oxford Companion to the American Musical, 1939: Hollywood’s Greatest Year, The Disney Song Encyclopedia, and The Oxford Companion to American Theatre. He was Professor of Theatre at the State University of New York at Cortland for thirty-three years and was also a Fulbright scholar who taught and directed in Greece, Lithuania, and Turkey. He now is Adjunct Professor of theatre and film at Flagler College in St. Augustine, Florida.